The Covent Garden neighborhood is roughly bounded by the A40/High Holborn to the north and the A4200/Kingsway to the east. The Thames River and the Victoria Embankment lie to the south and Leicester Square and Trafalgar Square are just to the west. Covent Garden is accessible via the Covent Garden tube stop; Charing Cross tube stop is 0.3 miles from the Covent Garden stop and Embankment station is 0.4 miles away. Covent Garden is located within The West End and is bordered by Bloomsbury, Soho, St. James`s, Westminster, and Blackfriars. 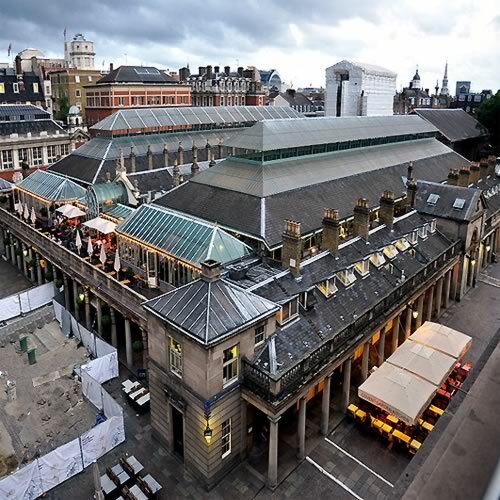 Points of interest in the Covent Garden neighborhood include Cambridge Theatre, the Royal Opera House, Aldwych Theatre, Covent Garden Market, Adelphi Theatre, and Arts Theatre. Fast-paced, the streets of Soho are bustling with activity day and night. You will find plentiful shopping, dining and nightlife options to choose from, especially along Old Compton Street and the streets that branch out from here, such as Dean Street, Frith Street, and Greek Street. Those who want to get a good bit of shopping into their itineraries should also visit Carnaby Street, where there are a number of luxury retailers and a multi-story shopping mall, as well as Regent Street one street over. Soho`s theatre district is concentrated along the southern end of the neighborhood, on and around Shaftesbury Avenue. The northeastern portion of Soho is home to Soho Square and its eponymous gardens, and more luxury shopping on Oxford Street. The Soho neighborhood is roughly bounded by the A40/Oxford Street to the north, A400/Charing Cross Road to the east, A401/Shaftesbury Avenue to the south, and A4201/Regent Street to the west. Soho is accessible via the Oxford Circus tube station at the corner of Oxford and Regent Streets, and Tottenham Court Road tube station at the corner of Oxford Street and Charing Cross Road. The theatres can be accessed via Piccadilly Circus tube station south of Soho. The theatres are a 0.3-mile walk from the station on Shaftesbury Avenue. 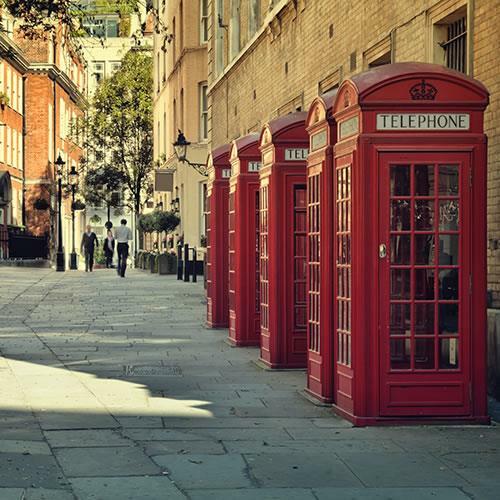 Soho is located within The West End and is bordered by Fitzrovia, Bloomsbury, Covent Garden, Mayfair and St. James`s. Points of interest in the Soho neighborhood include The London Palladium, Soho Square Gardens, Soho Theatre, Prince Edward Theatre, Palace Theatre, Queen`s Theatre, and the flagship stores of Foyles (bookstore), Hamleys (toy store), and Liberty (luxury department store). The area now called St. James`s was originally settled in the twelfth century as a leper colony, dedicated to St. James the Less. It became a residential neighborhood for aristocracy types in the 17th century, with the area transitioning to a commercial zone after World War II. Today, St. James`s is popular with visitors who want to experience fine dining in close proximity to Buckingham Palace. The Mall is the road which links Buckingham Palace with Trafalgar Square. 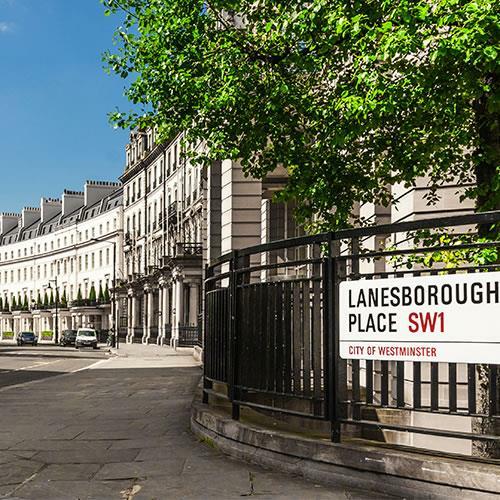 Along the way you will see Lancaster House, the Marlborough House Gardens, St. James`s Park, St. James`s Palace, the Institute of Contemporary Arts, and Trafalgar Studios. Across from Trafalgar Square are the buildings housing The National Gallery and the National Portrait Gallery, with Charing Cross tube station on the other side of the square. Along with Soho and Covent Garden, St. James`s is one of the neighborhoods known for their theatres and stage productions. Theatres of note include Piccadilly Theatre, Prince of Wales Theatre, Leicester Square Theatre, Her Majesty`s Theatre, and Theatre Royal Haymarket. St. James`s Square sits in the middle of the neighborhood, and Christie`s auction house is located to the west of the square on King Street. 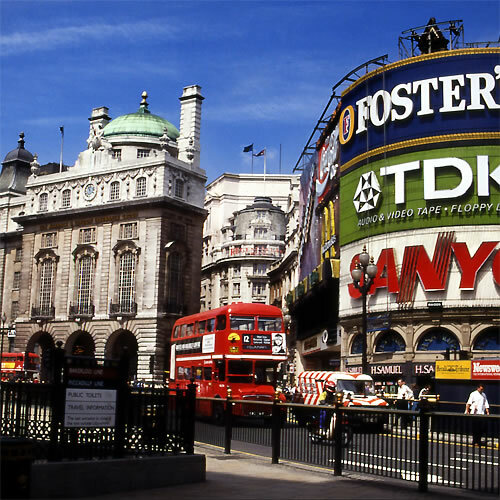 World-famous Piccadilly Circus is located in the northwestern part of the neighborhood, home to a number of diverse restaurants, shops, and the Royal Academy of Arts. The northeastern portion of St. James`s has two nuclei: Leicester Square to the south, where you can buy cheap West End tickets at a TKTS stand; and Chinatown, which is centered around Gerrard Street and Macclesfield Street. The St. James`s neighborhood is roughly bounded by the A401/Shaftesbury Avenue to the north, the Royal Academy of Arts and Piccadilly to the northwest, Green Park and St. James`s Park to the south and southwest, and the A400/Charing Cross Road to the east, A401/Shaftesbury Avenue to the south, and A4201/Regent Street to the west. Soho is accessible via the Piccadilly Circus and Leicester Square tube stops. Buckingham Palace and St. James`s Park can be accessed via the St. James`s Park tube station, south of the neighborhood and west of Westminster Abbey, and Trafalgar Square can be accessed by the nearby Charing Cross and Embankment tube stations. St. James is located within The West End and is bordered by Soho, Mayfair, Green Park, Buckingham Palace, St. James`s Park, Westminster, and Covent Garden. Points of interest in the St. James`s neighborhood include all aforementioned as well as Empire Casino, the flagship location of department store Fortnum & Mason, the tailors and haberdashers along Jermyn Street, The Harold Pinter Theatre, Dover Street Market, and St. James`s Market Pavilion. 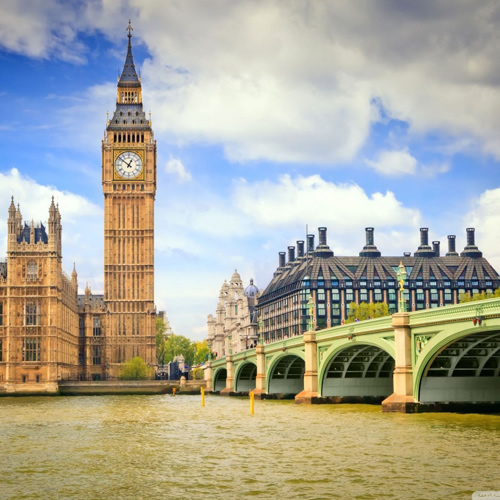 Perched along the north bank of the River Thames, `Royal London` as it is nicknamed, boasts more than a few London landmarks, including Westminster Abbey, Buckingham Palace, and the United Kingdom`s House of Parliament, which all share the cobblestoned lanes under Big Ben`s timely shadow. The British Empire, and once the world, was ruled from Whitehall. Royalty, government, and monumental London come together in the shadows of Big Ben and the Houses of Parliament. 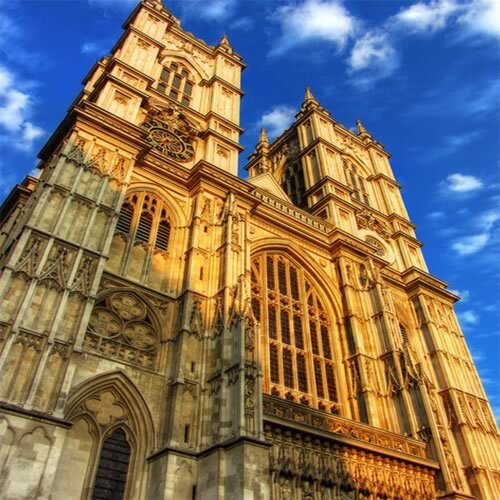 Walk near the Kings and Queens buried in Westminster Abbey and take your own quiet stroll through St. James`s Park and Green Park. Make sure you stop at Downing Street, west of Parliament, on your way to the parks; No. 10 is the official residence of the British Prime Minister. The area north of Big Ben, between Parliament Street and the Victoria Embankment is the aforementioned area called Whitehall. Whitehall leads to Trafalgar Square and the incomparable National Gallery, with the National Portrait Gallery just next door. From the grand Admiralty Arch, the Mall runs alongside the elegant St. James`s Park, leading straight to Buckingham Palace. South of Buckingham Palace and Westminster Abbey, there are a few sights of note such as Victoria Tower Gardens, Westminster Cathedral, the Tate Britain museum, the Royal Horticultural Halls, the Home Office (equivalent to the U.S. Department of State), and the headquarters for Channel 4 Television, the third-largest of the main British television networks. The Westminster neighborhood is roughly bounded by Bressenden Place, Carlisle Place, and Vauxhall Bridge Road to the south and west, the Thames River to the east, Trafalgar Square and The Mall to the northeast, and Birdcage Walk and St. James`s Park to the northwest. 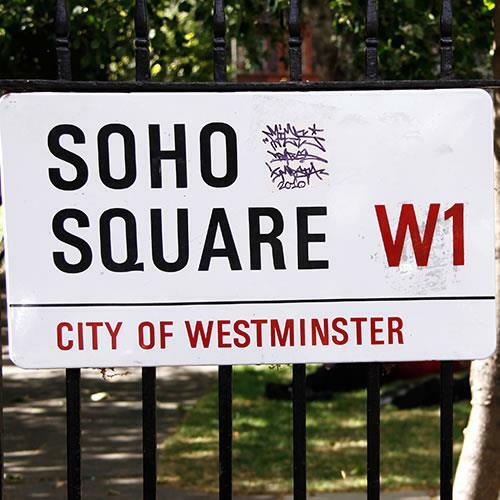 Soho is accessible via the St. James`s Park and Westminster tube stations. Westminster is located adjacent to the area called The West End and is bordered by Victoria Station/Pimlico, St. James`s, and Covent Garden. One of the most upscale neighborhoods in London, Belgravia was developed in the nineteenth century by a wealthy landowner, Richard Grosvenor. He developed the land around present-day Grosvenor Place and Belgrave Square Garden, building rows of white terraced townhouses looking out to gardens such as the one in Belgrave Square and another in nearby Eaton Square. These townhouses are now where governmental offices and embassies are based. People who want to experience the best dining and shopping options in Belgravia can go to Sloane Street (from the Harvey Nichols store at Knightsbridge down to Sloane Square), or closer to Victoria Station, in particular along Ebury and Elizabeth Streets. Check the area north of Buckingham Palace Road for some eclectic independently-owned boutiques and shops. The Belgravia neighborhood is roughly bounded by Ebury Bridge Road, A3214/Buckingham Palace Road, A3213/Eccleston Street and Eaton Square to the southeast, Grosvenor Place to the northeast, Knightsbridge to the north, and A3216/Sloane Street, Sloane Gardens, and Chelsea Bridge Road to the west. The northern part of Belgravia is accessible via the Knightsbridge tube station opposite Sloane Street. The southern part of Belgravia is accessible via Sloane Square tube station. Belgravia is bordered by Hyde Park, Buckingham Palace, Victoria Station/Pimlico, Chelsea, and Knightsbridge. The most upscale neighborhood in central London, Mayfair is home to elegant hotels for affluent foreigners and many impressive 18th century residences for people of fabulous wealth. Discover first class shopping at exclusive shops along Bond Street. North of Burlington Gardens, the street is referred to as New Bond Street, while south of Burlington Gardens it is called Old Bond Street. 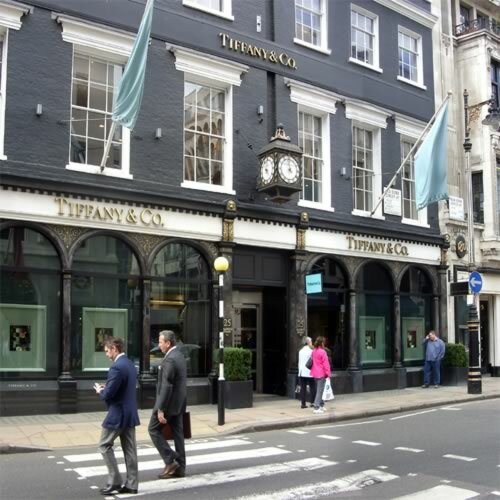 Designers such as Gucci, Cartier, Saint Laurent, Prada, Tiffany & Co. and Salvatore Ferragamo are clustered on Old Bond Street, while New Bond Street is home to Hermes, Ralph Lauren, Tory Burch, and Louis Vuitton. Vivienne Westwood`s flagship can be found on Conduit Street. As a neighborhood steeped in sophistication, Mayfair offers wine bars and scotch lounges, decadent restaurants, impressive buildings and clean streets, making Mayfair a sought-after destination for evening strolls. In addition to Bond Street, there are a number of world-class shopping streets in Mayfair as well, including portions of Regent Street, Jermyn Street and much of Oxford Street. Bounded by iconic Hyde Park to the west and ultra-trendy West End to the east, Mayfair`s noble neighbors increase the appeal of its already enchanting endowments. The Mayfair neighborhood is bounded by the A4202/Park Lane to the west, Oxford Street to the north, Regent Street to the east, and the A4/Piccadilly to the south. 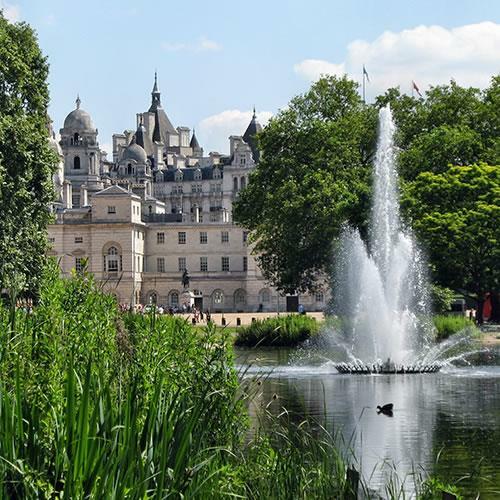 Accessible by Green Park, Marble Arch, Bond Street and Oxford Circus tube stops, Mayfair is bordered by Hyde Park, Marylebone, Soho, St. James`s, and Green Park. Points of interest include Shepherd Market, the London locations of such famous restaurants as Hakkasan and Nobu, Berkeley Square, Grosvenor Square, and Claridge`s, the hotel that claims to be the `birthplace of afternoon tea`. 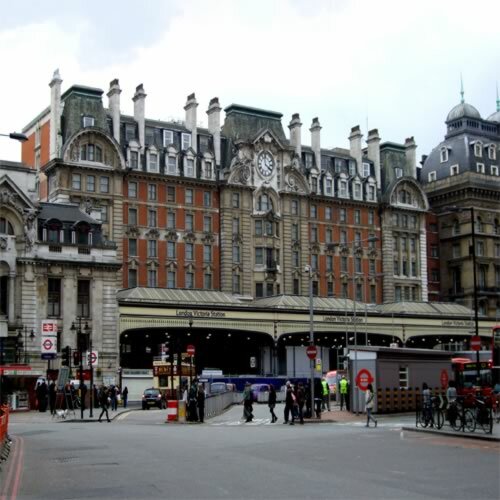 London Victoria Station is one of the city`s major train and Underground stations. London Victoria Station is also where the famed Orient Express (officially the Venice-Simplon Orient Express) departs for its signature London-Paris-Milan-Venice route, with special routes to Vienna and Istanbul. Some of London`s most historic buildings, Westminster Abbey, the Houses of Parliament and Buckingham Palace are all a 10-minute walk away. View the stunning collection of art at the Queen`s Gallery, visit the fascinating Guards Museum or watch living history at the Changing of the Guard ceremony. 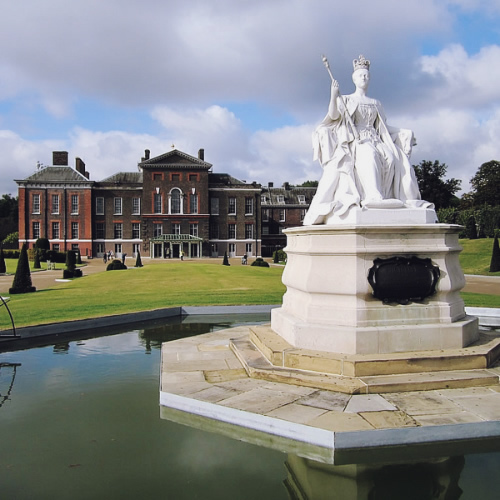 Afterwards, take a stroll through the luscious Royal Parks that adjoin the Palace. Indulge in retail therapy; Victoria Place and Cardinal Place shopping centers have a selection of high-street shops as well as bars and restaurants. The neighborhood south and east of Victoria Station, heading in the direction of Vauxhall Bridge, is called Pimlico. It is largely residential and is close to the Tate Britain museum in the nearby Westminster neighborhood. Many hotels and food options line Belgrave Road and Vauxhall Bridge Road. As of 2018, the new U.S. Embassy is located across the Thames River from Pimlico; take the Vauxhall Bridge and keep right to Nine Elms Lane; it is approximately 0.75 miles from the embassy side of the bridge. The Victoria Station/Pimlico neighborhood is roughly bounded by Eaton Square and Hobart Place to the northwest, Lower Grosvenor Place to the north, Bressenden Place to the northeast, Carlisle Place and Vauxhall Bridge Road to the east, Grosvenor Road and the Thames River to the south, and A3214/Buckingham Palace Road and Ebury Bridge Road to the west. The neighborhood is accessible by both Victoria and Pimlico tube stations. Victoria Station/Pimlico is in the Borough of the City of Westminster and bordered by the neighborhoods of Chelsea and Belgravia, Buckingham Palace, and the neighborhood of Westminster. 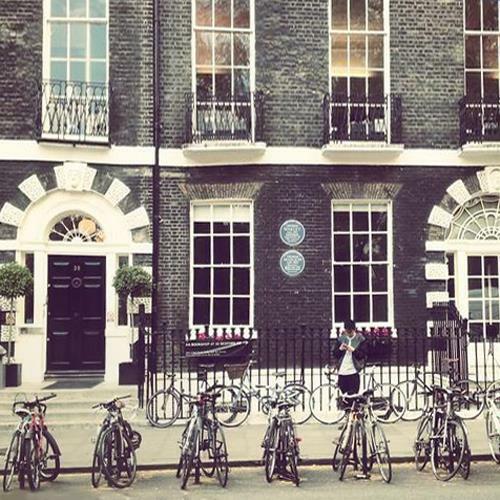 As a neighborhood that has never grown too big for its breeches, Bloomsbury maintains its distinctly village vibe in the midst of central London. Bloomsbury exudes high culture without pretenses. The neighborhood gave its name to an influential group of English intellectuals, including Virginia Woolf. Garden squares and Victorian era hotels contribute to the streetscape`s nonchalant beauty, while dairy markets and butchers still populate Bloomsbury`s street corners. The University of London and the Royal Academy of Dramatic Art are here as well as The Foundling Museum, the Charles Dickens Museum, and The British Museum. With the British Library parked just north at St. Pancras, a greater number of books can probably be found in Bloomsbury than in all the rest of London. Virginia Woolf and T. S. Eliot would be pleased to note that some of London`s most beautiful domestic architecture and elegant houses still line the area`s prim squares. The Bloomsbury neighborhood is bounded to the north by Torrington Place, Gordon Square and Tavistock Place, to the east by the A5200/Grays Inn Road, to the south by the A40/High Holborn, and to the west by the A400/Tottenham Court Road. 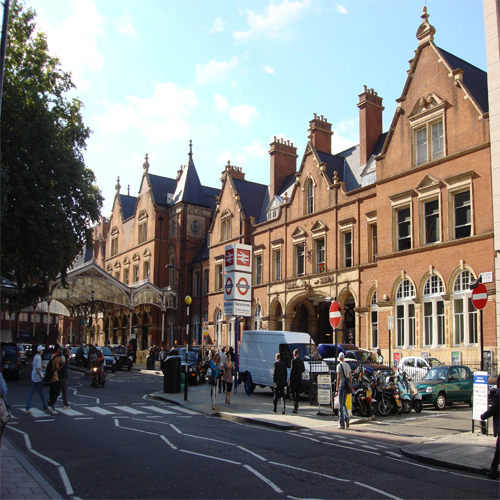 Bloomsbury is within the borough of Camden and is accessible via the Russell Square tube stop. It is bordered by Fitzrovia, King`s Cross/St. Pancras, Clerkenwell, Barbican, Blackfriars/St. Paul`s Cathedral, Covent Garden, and Soho. Chelsea, just south of South Kensington and Knightsbridge along the Thames, used to be home for a couple of King Henry`s wives and also for Queen Elizabeth I, when she was still a princess. Once a center of innovation in the 19th century when the area was a veritable Victorian artists` colony; the Beatles and the Rolling Stones lived in the neighborhood that has since transitioned from an area integral to London`s youth culture into more of a small-town atmosphere in the midst of the huge city. It`s a wealthy area, similar to Kensington, South Kensington, Earl`s Court, and Knightsbridge. Major sights include Christopher Wren`s magisterial Royal Hospital, the site of the Chelsea Flower Show, Cheyne Walk, where Henry James and Dante Gabriel Rossetti once lived and the King`s Road, whose boutiques gave birth to the paisleyed 1960s and the pink-haired punk of the 1970s. Other points of interest include the National Army Museum, Ranelagh Gardens, and the Saatchi Art Gallery. The Chelsea neighborhood is bounded by the A308/Fulham Road and Brompton Road to the northwest, Brompton Street and the B319/Pont Street to the northeast, A3216/Sloane Street, Sloane Gardens, and Chelsea Bridge Road to the east, the A3212/Chelsea Embankment and the Thames River to the south, and the A308/Edith Grove to the west. Chelsea is served by the Sloane Square tube stop, with the South Kensington tube stop close by. 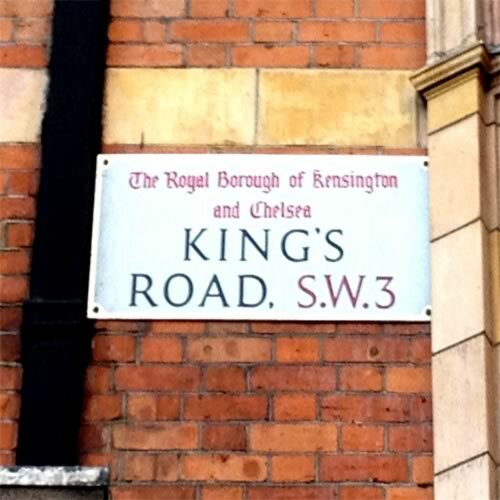 Chelsea is within the borough of Kensington and Chelsea and bordered by South Kensington/Earl`s Court, Knightsbridge, Belgravia, and Victoria Station/Pimlico. Fitzrovia is a neighborhood which is named for the Fitzroy Tavern, a public house which was once a watering hole for London`s bohemians, artists and intelligentsia, such as Dylan Thomas, Jacob Epstein, George Orwell, and Nina Hamnett. The Fitzrovia of today is a diverse residential area mixed with commercial developments. Here, apartments and houses from the 18th and 19th century sit on the same street with council houses (the British equivalent of our public housing). If you`re looking for cafes and restaurants, head to Charlotte and Mortimer Streets. 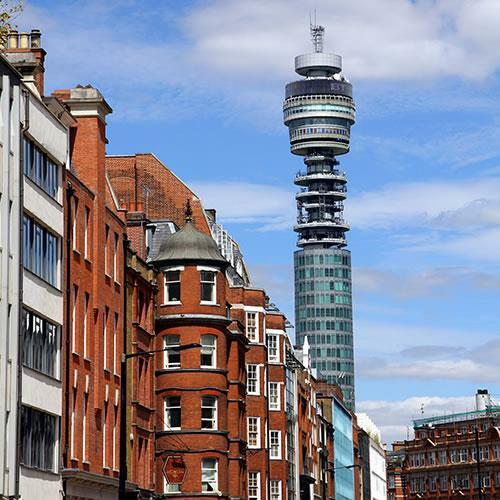 Points of interest include University College London, The Cartoon Museum, the BT Tower, Fitzroy House and Fitzroy Square Garden, and the University of Westminster. The Fitzrovia neighborhood`s northern boundary is London Euston train station, sitting just north of A501/Euston Road. Its western boundary is the A4201/Portland Place/Regent Street, its southern boundary is the A40/Oxford Street, and its eastern boundary is the A400/Tottenham Court Road, Gordon Square, Tavistock Square, and the A4200/Upper Woburn Place. Fitzrovia`s northern portion is served by the Great Portland Street, Warren Street, and Euston Square tube stops, with the southern portion served by Goodge Street tube stop. Fitzrovia is located partly in the borough of Westminster and partly in the borough of Camden, and is bordered by Regent`s Park, Somers Town, King`s Cross/St. Pancras, Bloomsbury, Soho, and Marylebone. Knightsbridge is one of the priciest and most exclusive areas in London, known for upscale shops and restaurants. South of Hyde Park, it is identified as one of two `international centers` in London, alongside the West End. Neighboring areas include Chelsea and Belgravia making this one of the most expensive residential parts of London. Its towering, columned edifices are home to renowned department stores like Harrods, couture fashion houses like Jimmy Choo, and banks that handle finances for the Queen. The stores are luxurious and the homes extravagant so walking through this area is a pleasure. 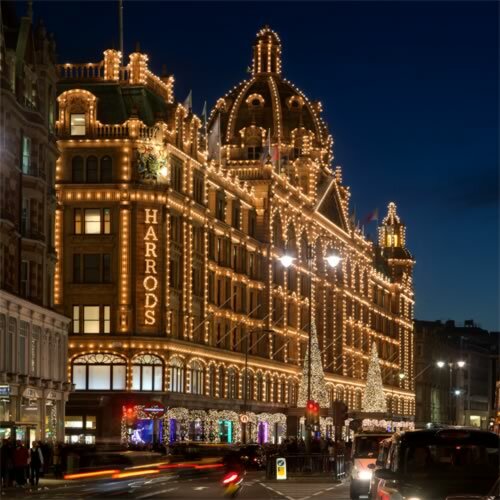 Spend a couple hours exploring Harrods and then stop into one of the many restaurants or cafes to relax your sore feet. It is also a great place to people watch, from the wannabe IT girls having a drink at the Mandarin Bar to the unfortunate rich men trying to entice them. 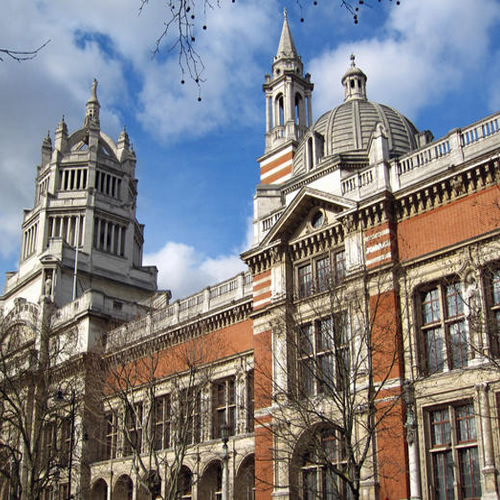 Heading down the A4/Brompton Road, about a half-mile from Harrods, is the Victoria and Albert Museum, the world`s largest museum of decorative arts and design. The Knightsbridge neighborhood is bounded by Hyde Park to the north, the A3216/Sloane Street to the east, the A4/Thurloe Place/Brompton Road and the B319/Beauchamp Place/Pont Street to the south, and Exhibition Road to the west. Accessible via Knightsbridge tube station, Knightsbridge is bordered by Hyde Park, Belgravia, Chelsea, Kensington, and South Kensington/Earl`s Court. South Kensington is a mix of well-heeled residential houses, hotels, and busy commercial streets. The Victorian residential squares in Earl`s Court and the streets south and east of Earl`s Court, like Bolton Gardens and The Boltons, are among west London`s smartest addresses. The area east of Queen`s Gate is where you will find London`s sizable French expatriate community, with many community resources clustered east of Queen`s Gate and west of South Kensington tube station. South Kensington/Earl`s Court is bounded by the A4/Cromwell Road/Thurloe Place to the north, the A320/Earl`s Court Road/Redcliffe Gardens to the west, and the A308/Fulham Road/Brompton Road to the south and east. South Kensington and Earl`s Court are accessible via the tube stations of the same names, with Gloucester Road tube station between them. South Kensington is in the Royal Borough of Kensington and Chelsea in London, neighbored by Kensington, Chelsea, and Knightsbridge. The area north of the Thames River but south of Ludgate Hill is called Blackfriars, so named due to the black cloaks that were standard dress for the Dominican friars who had relocated their priory from nearby Holborn to this neighborhood next to the Thames. St. Paul`s Cathedral is built on Ludgate Hill, on the site that was believed to have been a temple for the Roman goddess Diana. St. Paul`s Cathedral`s current design dates from 1697; it is the mother church of the Anglican Diocese of London. Prince Charles married Lady Diana Spencer in St. Paul`s Cathedral in 1981, among many other noteworthy events celebrated there. The cathedral`s dome, peaking at 365 feet in height, made the building the tallest in London from 1710 (when the dome was completed) all the way until 1967. The area to the west of the A201/New Bridge Street/Farringdon Street is an economic and educational hub for the city, with various financial services corporations such as Goldman Sachs located along Fleet Street, and King`s College London located along The Strand. To the north of King`s College, you will find the Royal Courts of Justice and the London School of Economics. East of Blackfriars train station, you will find The Mermaid; built in 1959, it is the first theatre built in Central London since the time of William Shakespeare. Blackfriars/St. Paul`s Cathedral is bounded to the north by the A40/Holborn Aqueduct/Newgate Street/Cheapside, to the east by Queen Victoria Street, to the south by the Thames River, and to the west by Kingsway, Strand and Lancaster Place. Blackfriars/St. 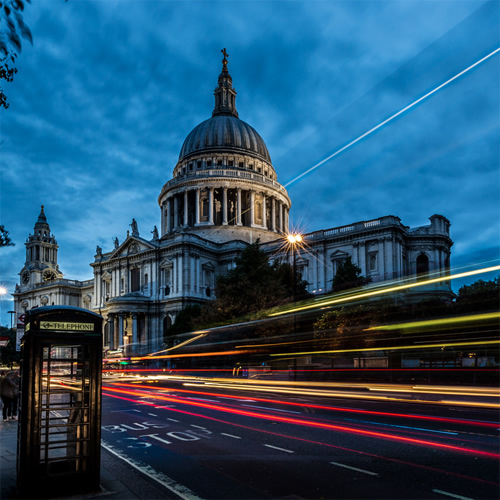 Paul Cathedral is accessible by Holborn, Chancery Lane and Temple tube stops west of the A201/New Bridge Street/Farringdon Street. East of the A201, the area is accessible by City Thameslink and Blackfriars train stations as well as St. Paul`s and Mansion House tube stations. It is bordered by Barbican, Tower of London, Bloomsbury, and Covent Garden. Roman London was settled in the area that is now called the Barbican. Around the beginning of the third century CE, walls were built around the fort of Roman London, portions of which you can see today around the St. Alphege Gardens. The walls once led to a large gate called Cripplegate; the neighborhood around it was destroyed during the carpet bombing of World War II. Out of the ruins of Cripplegate, the Barbican Estate was built. The Barbican Estate is one of the most noteworthy examples of Brutalist architecture in the United Kingdom. 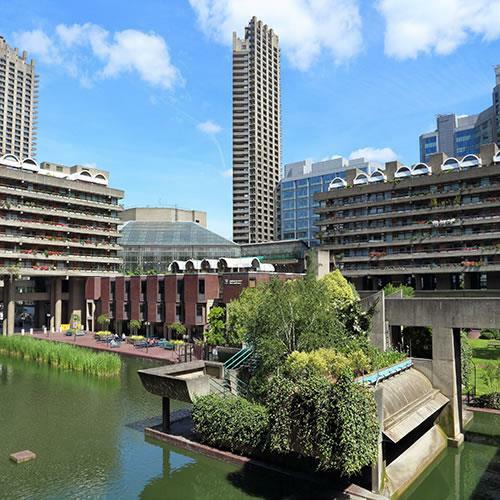 Within the complex, you will find three high-rise council flat blocks, the Barbican Arts Centre (the largest of its kind in Europe), the Museum of London, and the Guildhall School of Music and Drama, among other institutions. Around the edges of The City are some of the best arts and entertainment venues in London, including Fabric nightclub and Smithfield Market. Northeast of Fabric you will find a historic complex of buildings called the Charterhouse Precincts. Barbican is bounded to the north by Clerkenwell Road and Old Street, to the east by Finsbury Square and Moorgate, to the south by the A40/Holborn Aqueduct/Newgate Street/Cheapside, and and to the west by the A5200/Grays Inn Road. Barbican is accessible by Barbican tube station and Farringdon and Moorgate train stations. It is bordered by Clerkenwell, the Financial District, Blackfriars/St. Paul`s Cathedral, and Bloomsbury. Not to be confused with London as a whole, The City of London goes by many names - The City and The Square Mile. 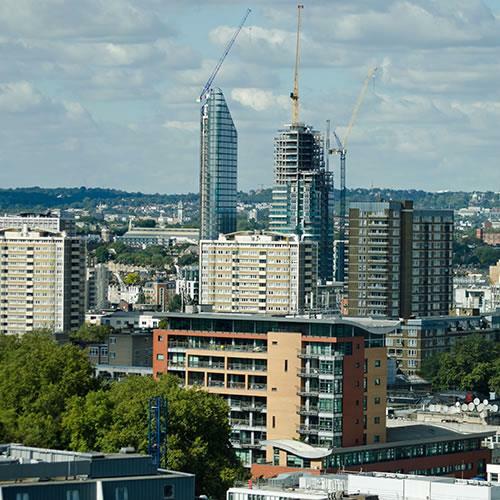 As the site of the Celtic settlement the Romans called Londinium, this is the oldest part of London, yet thanks to the critically acclaimed glass towers it looks like the newest and is responsible for London`s iconic skyline. The City is now the soul of the world`s financial markets; it houses the Bank of England, HSBC, Deutsche Bank, Lloyd`s of London, and 30 St Mary Axe (better known to locals as The Gherkin). There are also a number of traditional marketplaces in this neighborhood, such as Leadenhall Market, Petticoat Lane Market, and the Old Spitalfields Market. 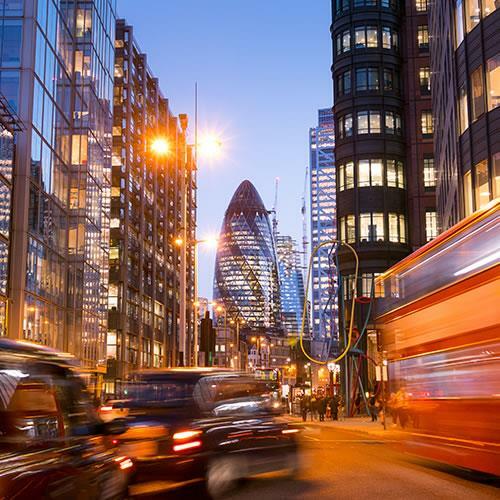 The Financial District is bounded to the west by Finsbury Square and Moorgate, to the north by Worship Street, to the east by the A1202/Commercial Street, and to the south by Lombard Street, Fenchurch Street, and Aldgate High Street. The Financial District is accessible by Liverpool Street and Aldgate tube stations as well as Liverpool Street train station. Many delicious restaurants in this neighborhood are clustered around Liverpool Street station. The Financial District is bordered by Barbican and the Tower of London. Clerkenwell was so named for the drinking well that supplied water to the clergy in the area. Rediscovered in 1924, today you can see the well that gave Clerkenwell its name by going to the Well Court building on Farringdon Lane near Clerkenwell Green. Once a portion of town reserved for prisons and `houses of ill repute`, the Industrial Revolution turned Clerkenwell into the neighborhood we see today, with lots of commercial and industrial businesses. Today, Clerkenwell is a very trendy area where the hippest, up-to-date housing is built alongside some of the biggest businesses in the city. The restaurant and nightlife options are similarly trendy, reflecting the diverse and fun-loving local population. If you want an authentic taste of Clerkenwell, walk down to Exmouth Market, where you can sample from a number of homegrown eateries and food stalls. The City University of London sits to the northeast of Exmouth Market. Clerkenwell is bounded to the north by the street above A501/Pentonville Road, Goswell Road to the east, Clerkenwell Road to the south, and King`s Cross Road, Calthorpe Street and Grays Inn Road to the west. Clerkenwell is served by Angel tube station, with Barbican tube station close by as well. Clerkenwell is bordered by King`s Cross/St. Pancras, Bloomsbury, and Barbican. Bayswater is one of London`s most cosmopolitan areas, London`s Arabic, American, and Greek communities make their homes in pillared Georgian terraces and neat garden squares, with a great expanse of Hyde Park`s landscaped English parkland almost on their doorsteps. The culturally diverse inhabitants of Bayswater live in one of London`s most architecturally traditional areas. The area has attractive streets and garden squares lined with Victorian stucco terraces, mostly now subdivided into flats and boarding houses. The surrounding hotels offer a fabulous base from which to explore central London. Queensway and Westbourne Grove are its busiest main streets, both having many ethnic cuisine restaurants. Bayswater is roughly bounded by A4206/Westbourne Grove/Bishop`s Bridge Road to the north, Westbourne Terrace and Westbourne Street to the east, Bayswater Road to the south, and Pembridge Road and Pembridge Villas to the west. 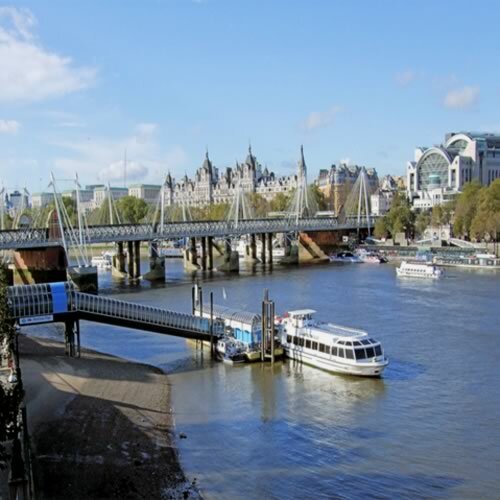 Accessible via Lancaster Gate, Queensway, Bayswater and Notting Hill Gate tube stops, Bayswater is in the City of Westminster and the Royal Borough of Kensington and Chelsea, bordered by Hyde Park and Paddington. Kensington`s storybook elegance permeates the air. This is the archetypal London of white row houses, cobblestone streets, secret gardens and yes, even a palace. Kensington Palace, the residence of the late Princess Diana, rises elegantly off the formal Kensington Gardens, which connect with the larger Hyde Park. Old-world buildings seamlessly blend with the glass windows of artisanal cheese shops, pastry bakeries, and international consulates, lending the neighborhood an air of polished refinement and perfect finishing. Its opulence doesn`t detract from the neighborhood`s inviting nature. The concentration of prestigious and world class museums in Kensington is unique to London. In no other city would you find the likes of such luminaries as the Natural History Museum, Royal Geographical Society, Science Museum, Victoria and Albert Museum and Royal Albert Hall within walking distance of each other as well as a large number of elegant hotels. It`s no coincidence that these bastions of culture are clustered together and the name of the street that links them, Exhibition Road, gives a clue as to why they are – the Great Exhibition in Hyde Park in 1851 created the foundations for these grand institutions dedicated to the arts and sciences. It was this investment in the area that set in motion a building spurt with large terraced houses, which gives the district its current appearance as a high-class residential area. You see a similar ritzy residential development in South Kensington. Kensington is roughly bounded by the A4/Cromwell Road to the south, Exhibition Road to the east, the A315/Kensington High Street and Kensington Gardens to the north, and Earl`s Court Road to the west. Accessible via High Street Kensington tube station, Kensington is within the borough of Kensington and Chelsea and bordered by Holland Park, Palace Green, Kensington Palace and Gardens, Knightsbridge, and South Kensington/Earl`s Court. 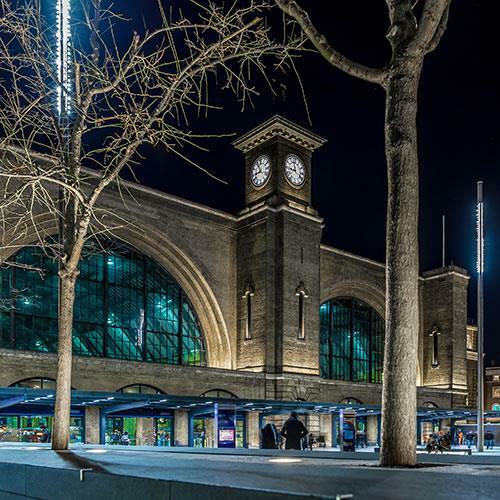 The neighborhood known as King`s Cross, once a more rundown area of town, has been completely revitalized in recent years, accelerating after St. Pancras International Station became the terminus of the Eurostar rail link beginning in 2007. You will still find lots of construction going around to the north of King`s Cross station, even north of Regent`s Canal around Central Saint Martins, a college for design students. King`s Cross and St. Pancras train stations, along with King`s Cross/St. Pancras tube station, are all clustered in an area where Euston Road forks to become two roads: Pentonville Road and Grays Inn Road. The British Library is positioned to the west of St. Pancras station, and one of London`s hottest nightclubs, Scala, is situated to the east of King`s Cross station. Due to the importance of these two train stations linking the UK with the rest of Europe, many hotels are situated in this area as well. King`s Cross/St. Pancras is roughly bounded by Phoenix Road and Regent`s Canal to the north, Rodney Street and King`s Cross Road to the east, Tavistock Place, Grays Inn Road and Calthorpe Street to the south, and Eversholt Street/Upper Woburn Place to the west. Accessible via King`s Cross/St. Pancras tube station, King`s Cross/St. 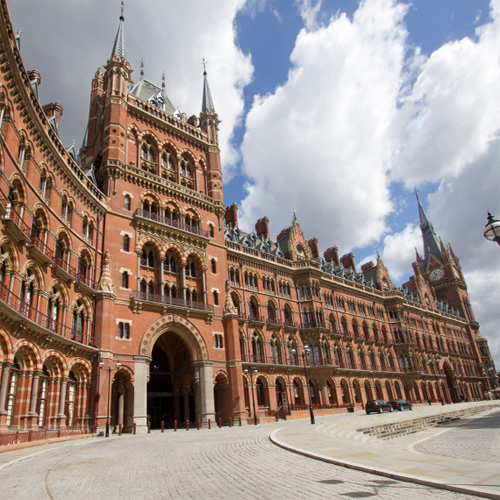 Pancras is within the borough of Camden and bordered by Regent`s Canal, Fitzrovia, Bloomsbury, and Clerkenwell. Lambeth rests across the river from Westminster. Unpretentious and readily accessible, this brick and stucco neighborhood puts you in the middle of London without having to deal with the crowds. Its riverbank perch provides stunning views of The Houses of Parliament and Big Ben. It is a central London neighborhood that blends high culture and pub culture with ease, with its own palace to rival Westminster`s, as well as gold-gilded taverns. Lambeth Palace is the official London residence of the Archbishop of Canterbury. The garden museum is a lovely place to rest or dig up some horticultural information. Two bridges connect Lambeth to its across-the-Thames counterparts. 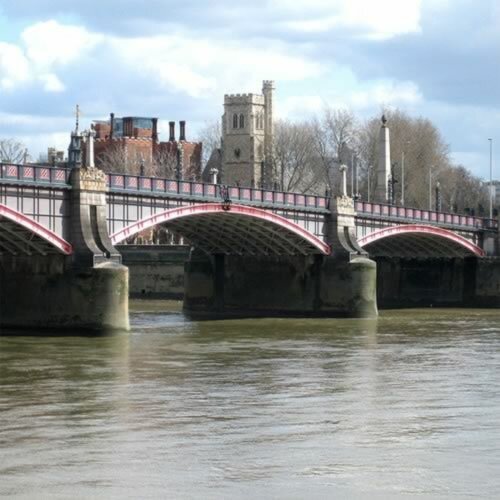 Lambeth Bridge was originally built for horse ferry crossings and is London`s shortest bridge. Westminster Bridge connects Lambeth and Waterloo with Big Ben. The northern portion of this area is centered around London Waterloo train station and tube stop. A major transport hub, Waterloo train station is the busiest train station in the United Kingdom, and Waterloo tube station is the second-busiest in the London Underground system. Points of interest in Waterloo include the eponymous bridge, made world-famous in the film starring Vivien Leigh and Robert Taylor. 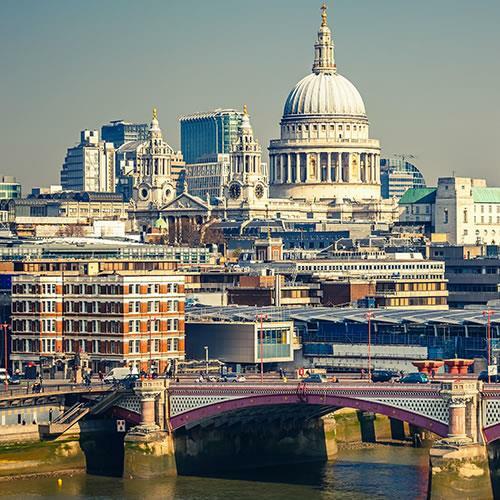 South of the bridge, you will encounter the Southbank Centre, the Hayward Gallery, the Royal Festival Hall, the Coca-Cola London Eye, the London Dungeon, and the SEA LIFE London Aquarium, a cluster of sights that will interest everyone. Lambeth and Waterloo are bounded by the Thames River to the north and west, Broadwall, Cornwall Road, Baylis Street, Kennington Road and Lambeth Walk to the east, and the area around Black Prince Road to the south. Accessible via Lambeth North and Waterloo tube stations or Waterloo train station, Lambeth and Waterloo are bordered by Southwark, Kennington, Newington, and Vauxhall. Just a short step away from the tourist crowds, Marylebone still has the feel of a real neighborhood with rich, red windowpanes that contrast regal, white stone buildings. Intimate bookstores, family owned patisseries, and high end boutiques help the neighborhood maintain a cozy village vibe, despite its central London address. Harley Street, the traditional home of England`s best doctors, has recently become the heart of the UK`s flourishing plastic surgery industry. The beautiful architecture (the Wallace Collection is a must) and the open spaces of Regent`s Park make this a fine area to have a wander, while Marylebone High Street is absolutely charming, lined with traditional pubs, beautiful boutiques and shops (including the flagship Daunt Books) and excellent local restaurants as well as a farmer`s market every Saturday. A short walk from Marylebone is the home of the most famous fictional detective in the world Sherlock Holmes` bachelor flat at 221B Baker Street and the popular waxworks at Madame Tussauds. Marylebone is bounded by Bell Street and Melcombe Street (north of Marylebone Road) and Regent`s Park to the north, Portland Place and Regent Street to the east, Oxford Street to the south, and Edgware Road to the west. 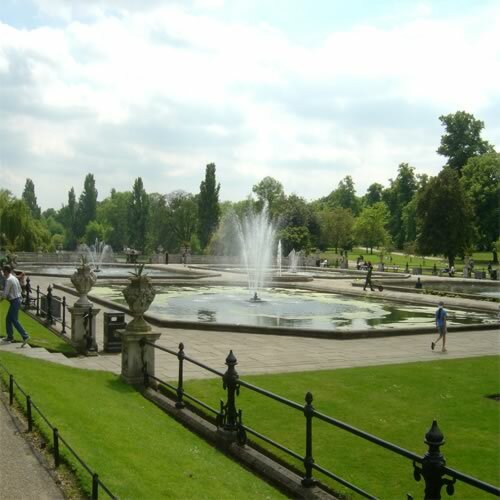 Accessible by Baker Street, Edgware Road, Regent`s Park, Marble Arch and Bond Street tube stops, Marylebone is bordered by Regent`s Park, Fitzrovia, Mayfair, Hyde Park, and Paddington. Paddington is widely known for its famous railway station, a terminal that services multiple underground lines and connects passengers to nearly every point in the city. There`s more to Paddington than trains and transit though - sleek shops, independent markets, and corner cafes surround the bustling hub. For those who aren`t commuting through, Georgian homes and public squares such as Gloucester Square, Hyde Park Square, Cambridge Square, Oxford Square, and Norfolk Crescent, offer clean, well-lit places to spend their days. Thanks to its conveniently located tube station, getting into and out of this northwest London neighborhood is simple. Paddington is bounded by the A40/Westway to the north, Edgware Road to the east, Westbourne Terrace and Westbourne Street to the west, and Hyde Park Place to the south. 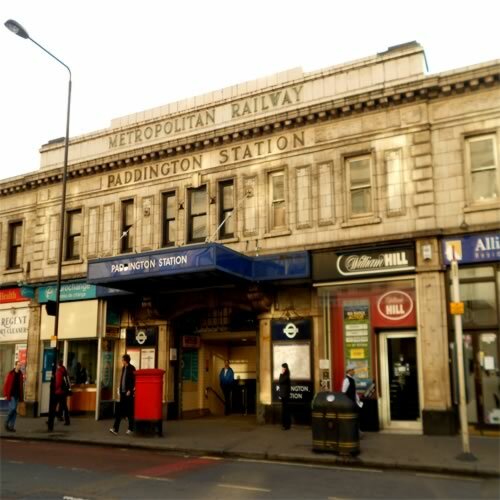 Accessible via Paddington tube stop, Paddington is within the City of Westminster and bordered by Bayswater, Marylebone, and Hyde Park. The neighborhood is home to many of the city`s iconic landmarks - London`s most famous bridges, buildings, and museums are located in Southwark. 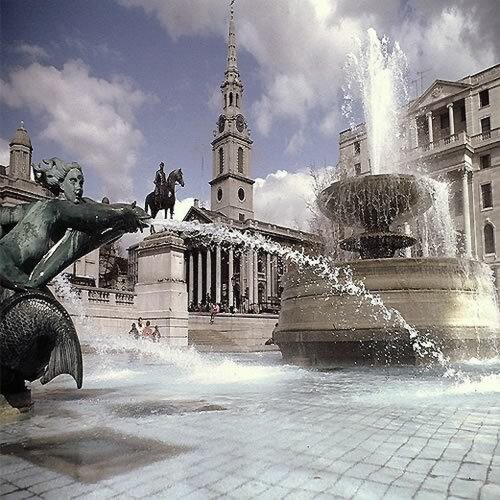 It is the historical home of the capital`s arts and entertainments industry. 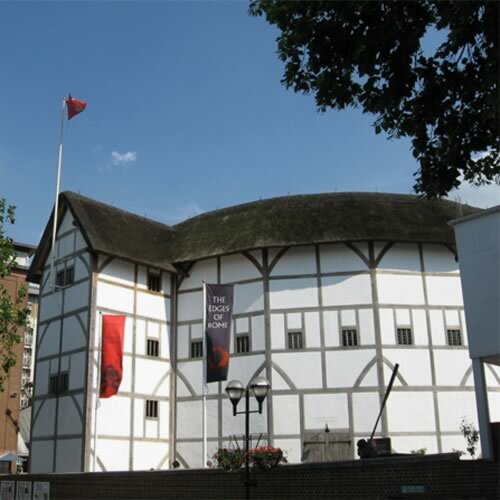 London`s first theatres, the Globe, the Hope and The Rose were all built there in the 16th century and Shakespeare`s plays were first performed there. The rebuilt Globe theatre is now one of the best theatres in London, while the neighboring Tate Modern, housed in the stupendous Bankside Power Station, is among the world`s most popular art galleries. 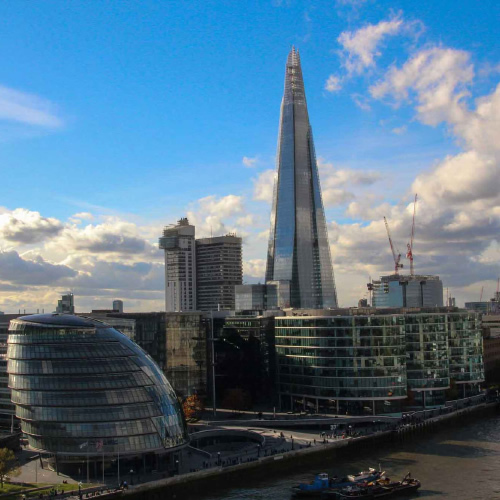 London`s modern City Hall, the magnificent, gothic Southwark Cathedral, and the thin and tall pyramid-shaped `The Shard` (the tallest building in the United Kingdom) complete a remarkable set of buildings that show five centuries of London`s architectural achievements. Southwark is bounded by the Thames River to the north, Broadwall to the west, and Nicholson Street, Southwark Street and St. Thomas Street to the south. accessible via the London Bridge and Southwark tube stops, as well as the nearby Borough tube stop. Southwark is bordered by Waterloo and Newington. Her Majesty`s Royal Palace and Fortress, known as the Tower of London, is a landmark setting, strategically at a bend in the River Thames, for both protection and control of the City of London. It is a historic castle founded towards the end of 1066 as part of the Norman Conquest of England. 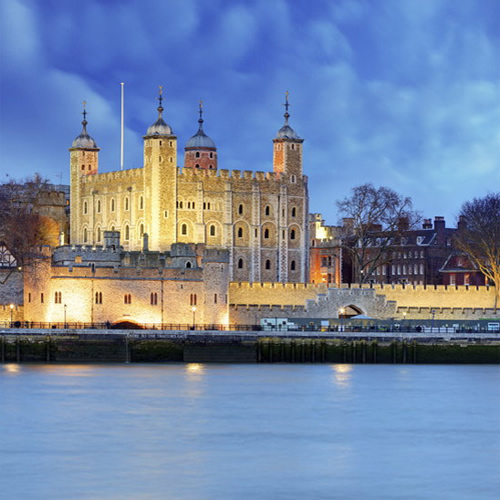 The White Tower, which gives the entire castle its name, was built by William the Conqueror in 1078. The castle was used as a prison from 1100 until 1952, although that was not its primary purpose. A grand palace early in its history, it served as a royal residence. As a whole, the Tower is a complex of several buildings set within two concentric rings of defensive walls and a moat. 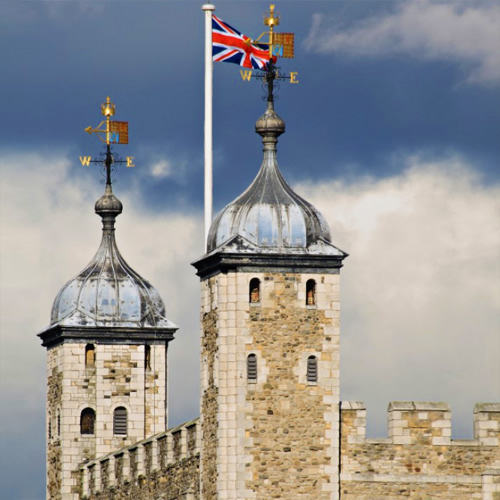 The Tower has served variously as an armory, a treasury, a menagerie, the home of the Royal Mint, a public records office, and the home of the Crown Jewels of the United Kingdom. To the west of the Tower of London, you will find Cannon Street train station, a noteworthy transport hub, and Monument tube station, adjacent to the Monument to the Great Fire of London which devastated the city in 1666. The Tower of London district is roughly bounded by Queen Victoria Street to the west, Lombard Street, Fenchurch Street, and Aldgate High Street to the north, the A1210/Mansell Street and A100/Tower Bridge Approach to the east, and the Thames River to the south. Accessible via the Tower Hill tube stop on the north bank of the River Thames, the area west of the Tower can also be accessed by the Cannon Street and Monument tube stops. It lies within the London Borough of Tower Hamlets, separated from the eastern edge of the square mile of the City of London by the open space known as Tower Hill.